For a few years now, Kuwait has been a bit of a shopper’s paradise. Shiny malls everywhere, full of well know British and American high-street stores, as well as all the designer shops. In the three years I have been away in East Africa more malls have been built, more sections have been added to the existing ones and more shops have opened. I have been to Dubai a few times, but I have to say the malls I visited had nothing on the ones here in Kuwait…but maybe I was in the wrong ones! It is hard to imagine the size of some of these…in one there is actually a walking track. (Probably just so we all know how far it is from one Starbucks to another!) I texted my mum the other day when I spotted a Lakeland shop, joking that I may never be leaving Kuwait now…a baker can never have enough pretty cupcake cases or plastic from this shop! The other day I was taken to one of the new supermarkets. When I was previously here there really was a monopoly on the supermarkets, but now we have other supermarket chains with local produce and more affordable imported treats for the expats…and…two-for-one offers and discounts (previously quite unheard of!). Well, recently I wrote about my shopping experience in Scotland for Laura’s blog (here-on Yummy Laura), when I was a bit overwhelmed by the size of the supermarket. Well, I was a bit like the other day, picking up in disbelief Weightwatchers frozen meals, Rachel’s yogurts, Goldfish, Kingsmill bread (bit random-but it is here! ) and other well-known items that you can find in Kuwait. Some things about shopping in Kuwait have not changed (thankfully!) though; waiting at the fish counter while they shell and clean the biggest King prawns that are as cheap as chips or getting your bags packed and carried to the car. Yep, it is a shopper’s heaven! I heard Harvey Nichols is opening…shame it won’t have the champagne bar though! It sounds like you need a Kindle! Kyria- You are so right - one was on my wish list for my birthday-now not sure f I should skip that step and get an i-pad. Welcome Family Affairs- any friend of Mud is a friend of mine...and a lover of Africa to boot! I never would have guessed that Kuwait was a shopper's haven! Sounds incredible. WOW! You are one lucky expat to have such great shopping options! I will say though, the Korean town I live in has become much more westernized in the short time that I've been here, guess it's happening worldwide. lostintravels-so right.so easy. there really is nothing I can't find. you might have to go to a few shops to find it or pay more-but everything is here. Hey lady! 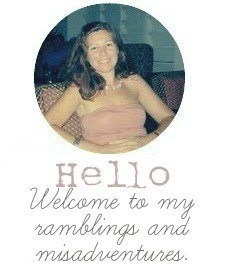 I just came across your cute blog through the hop, and gladly added myself to your followers! I love meeting awesome bloggers and giving them the chance to win something, so I thought I’d share a link to a giveaway I’m having in case you were interested!